So far, a total of 170 air routes from over 40 airlines serve passengers to/from around 119 destinations in Wuhan Tianhe International Airport, including 72 domestic cities and 47 international and regional cities. The domestic destinations are Beijing, Shanghai, Guangzhou, Xi'an, Chengdu, Chongqing and Sanya… The international ones contain Hong Kong, Macau, Taiwan, San Francisco, Paris, Tokyo, Bangkok, Maldives, Dubai, Rome, Moscow, Kuala Lumpur, Paris, etc. Celebrated as the busiest air hub in Central China, Wuhan Tianhe International Airport is located at Tianhe Town, Huangpi District, about 26km (16 miles) away from Wuhan city center. There are three terminal buildings in this airport. Currently, all the international and domestic flights take off and land in T3. T3 serves six kinds of transportation, including the 7 airport shuttle bus lines, metro, long-distance bus, city bus, taxi and private vehicles. Passengers can choose to travel by any means. Passengers who are from 51 countries and make an international transfer at this airport, are able to enjoy the 72-hour-visa-free transit. How much does it cost to fly to Wuhan from overseas destinations? There are big changes for flight ticket fare. The ticket fares to/ from Hong Kong, Macau, Taipei and Bangkok are much lower than that to/ from Tokyo, Seoul, Singapore, Sydney and Moscow due to many factors, like different airlines, distances and popularity of these routes. Generally, the one-way fare traveling from Tokyo to Wuhan range from CNY 4, 000 to 12, 500. It may take CNY 4, 000 - 30, 000 from Sydney and CNY 3, 000 - 20, 000 from Moscow. You can get real-time flight ticket prices or prices of more flights via the search box on page top. 1. Reserve the ticket 30 - 90 days in advance. The earlier you book, the larger chance you will have to get discounted tickets. 2. Pay much attention to the latest fare information on airlines’ websites regularly, especially cheap airlines like Air Asia, Spring Airlines, Cebu Pacific Air, Tiger Airways, Ryan Air Limited. Maybe you could kill the special ticket. 3. 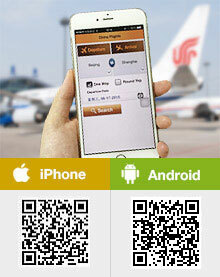 Before booking, you can make comparison on different APPs and find the cheapest ticket. 4. It is suggested to book the back-trip ticket together, which may help to save much money. is wuhan airport works 24 hours mean can a pessenger wait from 00:00 to 6:00 at wuhan airport for his flight at 9:00? Usually should depends on the schedule, if it has very late and early morning schedule, it should work 24 hours. Anyway, there is hotel in the airport, you can try it as well since they work 24 hours. you can fly to Beijing, and then take a train or flight to Wuhan. 5 flights are available from Shanghai to Wuhan after 17:00 on Jan 22, you can submit online booking from TravelChinaGuide website to book one. What direct international flights are there to Wuhan? I know there is one from Paris, France and another from Bangkok. There were flights from Seoul years ago but no longer. Thank you for any assistance. please told me your departure city so that I can check. which is the best way to travel/fly to wuhan from Los Angeles, california? Which airline is best/cost effective? You can fly to Shanghai first, and then travel to the city by air (about 2 hrs) or rail (about 6 hrs).